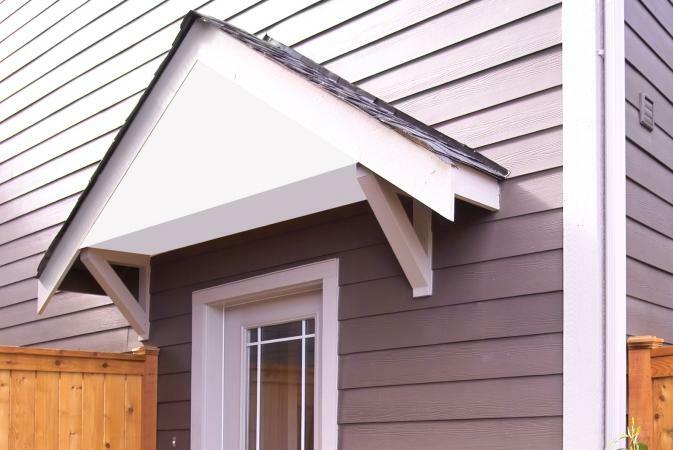 If you want to give the exterior of your home some added dimension and instant curb appeal, learn how to build a wood awning over your front door. This is a challenging job that requires a few extra hands and the better part of a day, but once it's complete your home will never have looked better. The wood awning should extend at least one foot past both sides of the door and be positioned at least three feet above the door. Remove all of the siding within this area using a flat pry bar. Pry it away cleanly because it will be going back in place once the installation is complete. Secure a level 2x4 to the side of the house by screwing it directly into the framing members using lag screws. 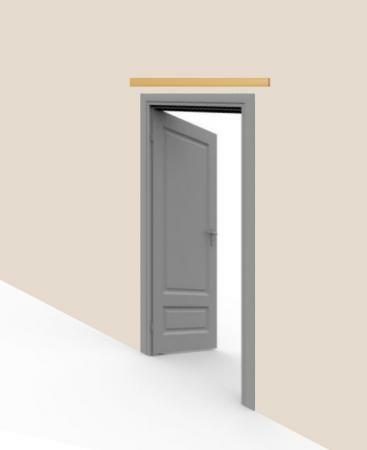 The 2x4 should be six to twelve inches above the door trim and the board should extend 12 to 24 inches beyond both sides of the door. 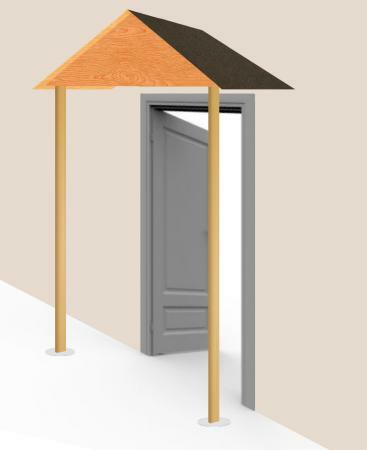 The board should be perfectly centered with both ends equidistant from the door's center. Take two lengths of 2x4 and cut them to the same size as the original piece you installed to the house. 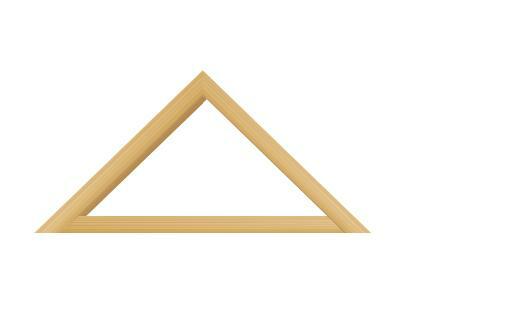 Cut the ends of both pieces at an angle and place them against the house so they form a triangle with the original board. The triangle should be one to two foot high at the center. Secure the two boards to the framing members using lag screws. 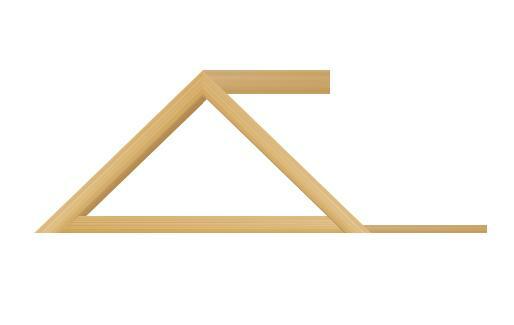 Set up a pair of sawhorses and use them to make a second triangle in the same dimensions as the one on the house. Attach plywood cleats on one side of the triangle to hold it together. 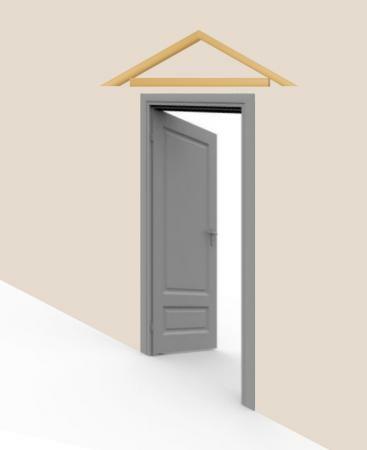 Decide how far you want your wood awning to stick out over the door and cut three pieces of 2x4 to that length. 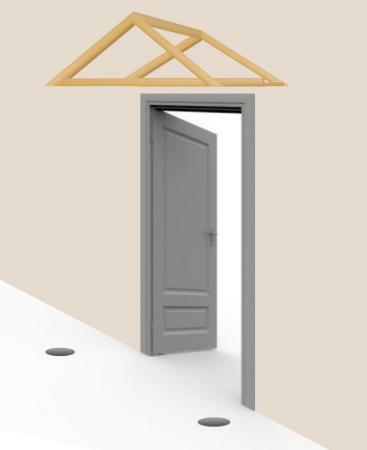 Most wood awnings stick out between three and five feet. 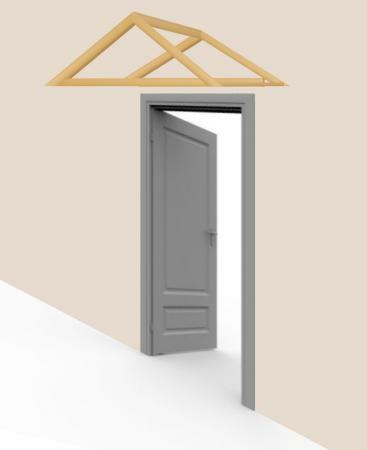 Nail the three boards to the side of the triangle with the plywood brace, then raise the entire frame and secure it to the triangle on the house using temporary wooden braces to hold it up. Make sure the frame is level and secure everything in place using galvanized nails or decking screws. Dig two holes in the ground, one at each corner of the overhang, no less than two feet deep. 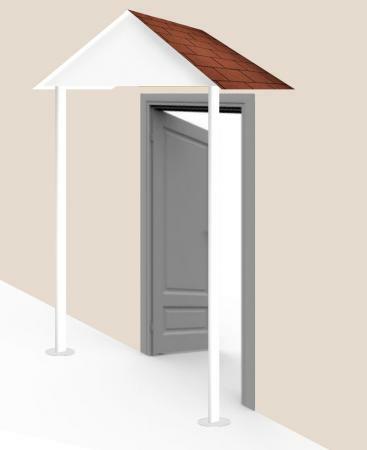 Each hole should be equidistant from the house and directly under the end of the awning frame. Fill the holes with concrete and set an anchor plate or bolt on top while the mix is still wet. Make sure the anchor plate or bolt is positioned so that the 4x4 support posts line up with the inside of the awning frame. Cut the 4x4s to length and attach them to the anchors. Make sure they are plumb in both directions and attach them to the frame using lag bolts. Install one or two rafters on each side of the frame and add three pieces of fascia to the frame. For the fascia, use 1x6 fir or pine (without knots). Nail the fascia in place starting a half an inch below the top of the awning's roof line. Lay the plywood on the roof so it extends one inch over the sides and the front. Nail the drip edge in place and apply the felt paper over the plywood. Install the asphalt shingles starting from the bottom up. Cut pieces of shingle and apply the roof cap. Cut two or three 2x4s, space them evenly apart and nail them to the underside of the awning. Finish the ceiling with beaded ceiling board or install 1x4 planks to fill in the space. Paint the awning before you replace the siding to prevent drips from getting on the siding. Once the paint is dry, replace the siding on the house and the job's complete. Try using these instructions to build a wood awning over a door and turn your home into the envy of the neighborhood.